Our last post was on November 15. Here’s what has happened since then. November 16. 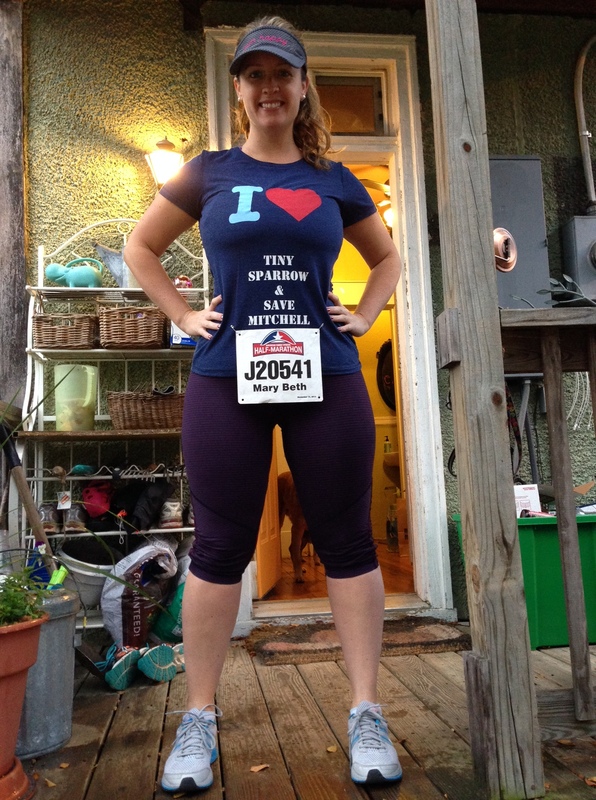 I completed my half marathon in honor of Mitchell. The best part was going by to see him after it was over. He was in the hospital and his pain from surgery (a transplanted kidney was removed because it was failing) was starting to get better. I gave Mitchell my race medal and hoped that he knew how inspiring his strength and courage is to me and everyone who knows him / his story. Week of Thanksgiving. Mitchell continued to recover and took his first steps in quite a while. He was released from the hospital on November 22nd. Things were looking up ~ maybe he’d even be home for Thanksgiving, his favorite holiday, but that reality was short-lived. He was re-admitted on November 24th and had emergency surgery due to multiple complications from the kidney being removed. 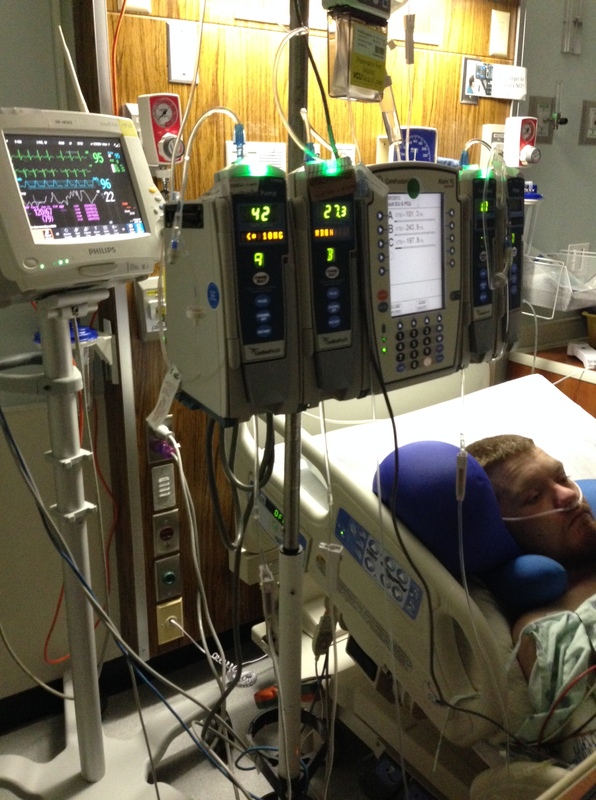 By November 30th, things started to turn around again for the better & his NG tube was removed. 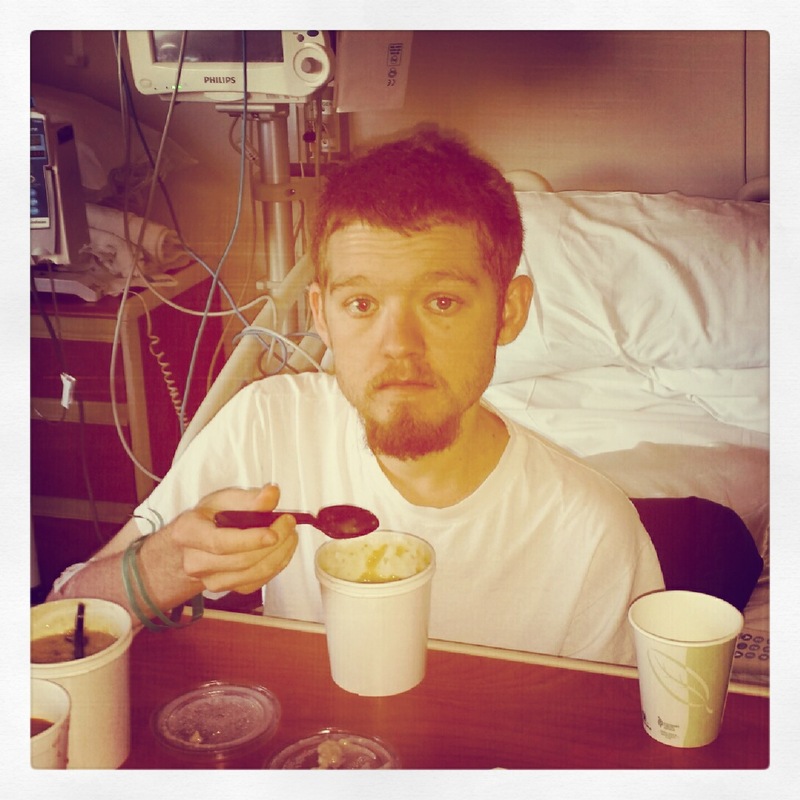 He had a few bites of oatmeal, a great sign that things were looking up (he had been on a liquid only diet for quite some time during this hospital stay). He was released from the hospital and enjoyed leftover Thanksgiving dinner, grateful to finally be home. 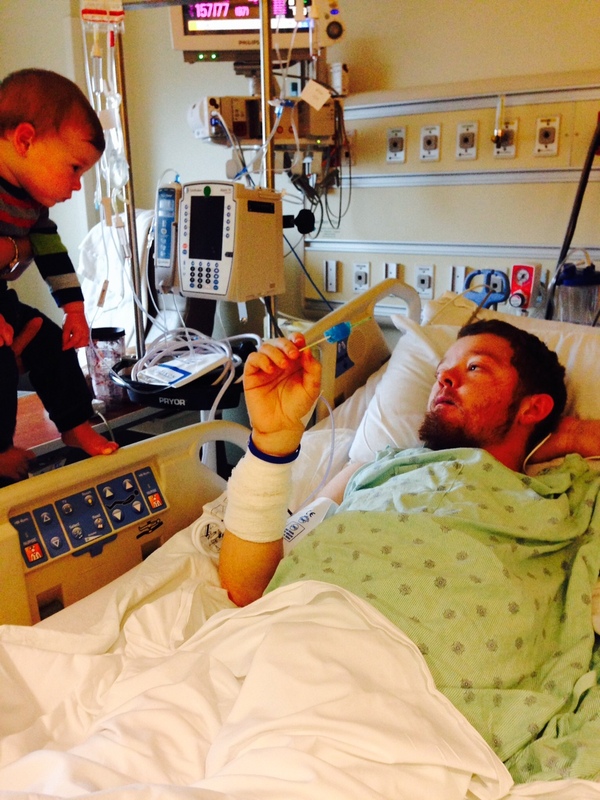 On December 4th, Mitchell went back to the hospital by ambulance. He was admitted into the ICU. His high blood pressure took a major toll on his body, and when we say major, we mean MAJOR. His family is keeping these details private, but it’s safe to say they were praying he’d make it through the unexpected trauma to his body and survive. 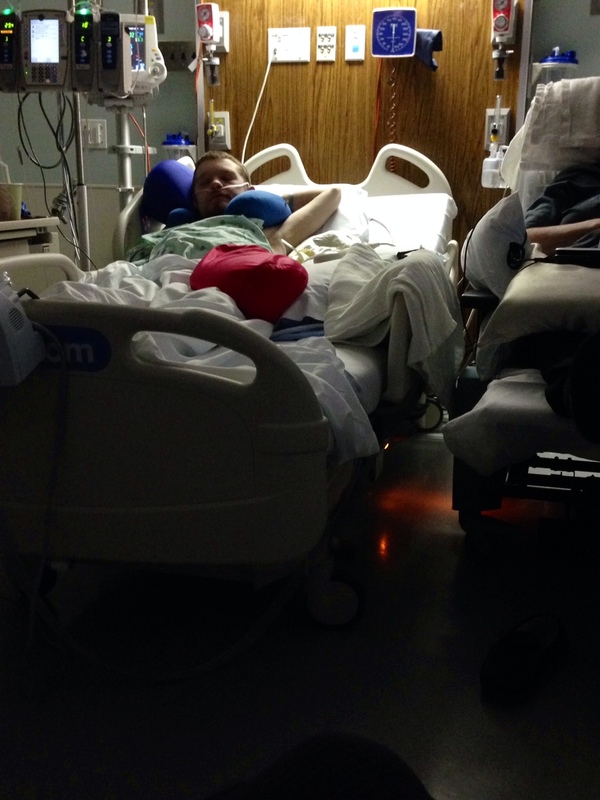 On December 5th, he woke up after 2 full days of being “asleep”, basically in a medicated state. I visited him in the ICU on that day and within an hour of arriving, he woke up. It was absolutely awesome to see him open his eyes. His sister, adorable baby nephew & Mom were by his side too. Within minutes of waking up, he asked for blue raspberry popsicles and took down one after another after another. His Mom was worried that he might get sick from consuming so many in such a short time frame, but that didn’t stop Mitchell or his pursuit for a blue tongue. 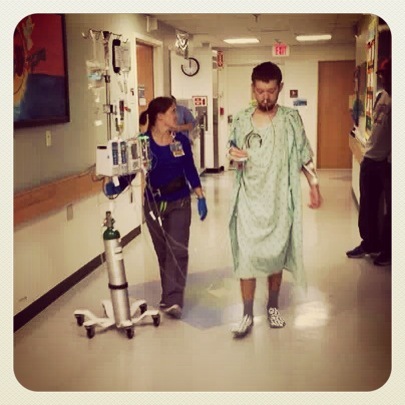 On December 6th he was moved out of the ICU and onto the transplant floor. On December 9th, him & Mom went home. As I sit here tonight and think about the last month, I am extremely thankful for the support, love and prayers from family, friends and people that we have never met, but still keep us in their prayers. We still need lots of prayers and I know that we will get them! Today has been quite a day. We had some problems with Mitchell’s fistula this morning. He has lost so much weight and it is hard to get, needles in the right place. We got too much air in the lines first thing this morning and could not even rinse his blood back…scary!!! We set the machine back up and tried it again. (Had to stick him again) All went well until the last hour when Mitchell shifted in his chair and moved his arm too much and we got air again. This time we were able to end his treatment early and rinse his blood back. We will get it done right tomorrow! Prayers Please. As we were getting off the machine, Mike came upstairs to tell us that a large Weeping Willow Tree in our backyard fell, took out our fence and landed on neighbors back porch. Hope to get that cleaned up and fixed soon (somehow). After all of this today, I sit here and am very grateful to have Mitchell home tonight. I honestly was not too sure last week that would happen. Tonight as we got ready to go to bed He hugged me and I know that he was thinking the same thing too. Friends, hug your children and tell them that you love them often! Never take anything for granted, I don’t! My children and grandchildren are my life and I know that I am blessed!! I know that the good Lord is at my side at all times, sometimes not the way that I would like, but still always near. On December 12th, his blood pressure was spiking, causing extreme concern that he’d have to go back to the hospital. That day, and pretty much every day since then, his blood pressure has been a big headache. It’s so important for the BP to stay under control because it can cause so many complications. On December 17th, he went to the hospital for an appointment due to his dialysis fistula having trouble. He has lost so much weight recently, that the fistula isn’t working properly. The goal was to try and correct this problem. Christmas week appeared to go well. 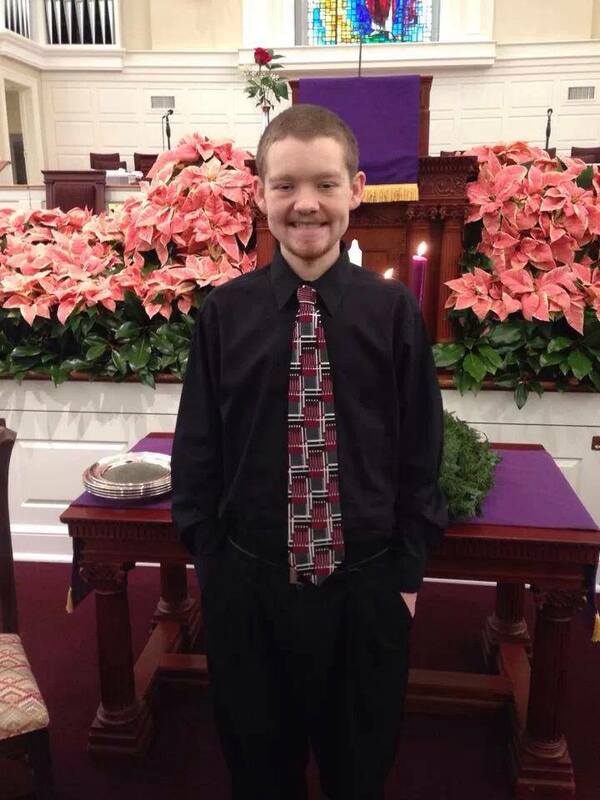 He was able to attend church as well as see a movie with his family. What a treat! 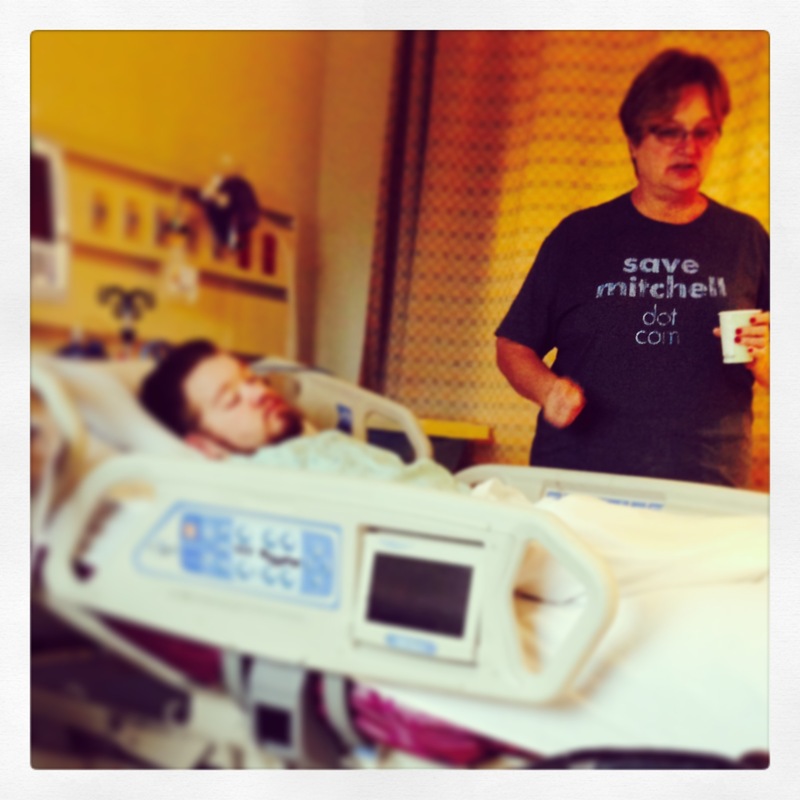 December 28th, Mitchell was short of breath, coughing and not feeling well. 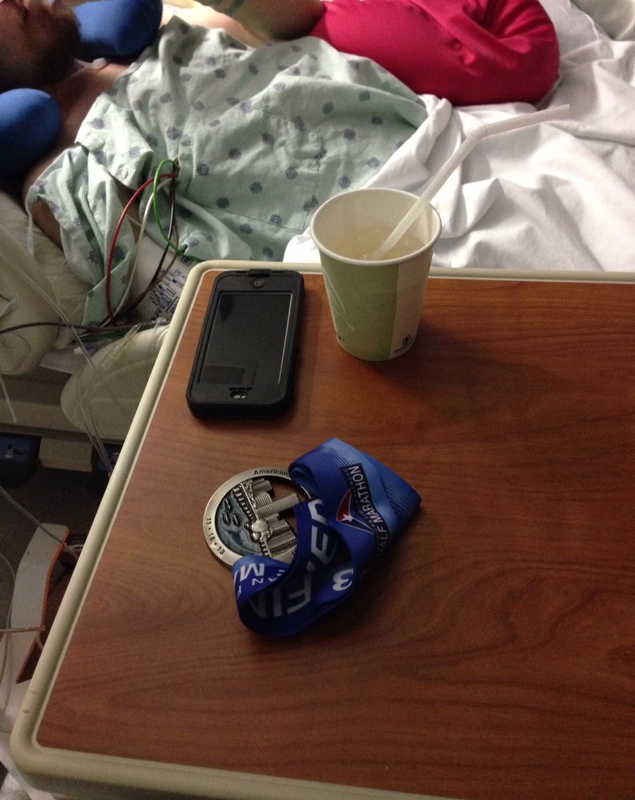 His Mom took him to the ER and he was ultimately admitted into the ICU. It turns out there is blood in his lungs (the cause is unknown at this time). The medical team decided to put him on a ventilator in order to let his body rest and get the oxygen he needs. Today. December 29. This morning he spiked a fever and also has high potassium levels (likely from not having dialysis). His Mom, as always, has not left his side. 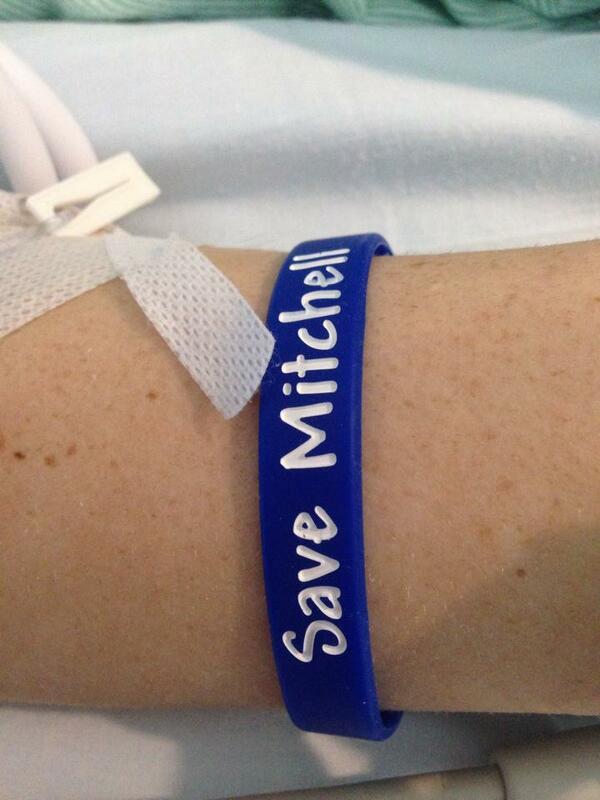 Here is Mitchell today, wearing his bracelet. When he was wearing it a few weeks ago in the hospital, he was really scared that the hospital would cut it off while in the ER. Thankfully it’s still holding strong. 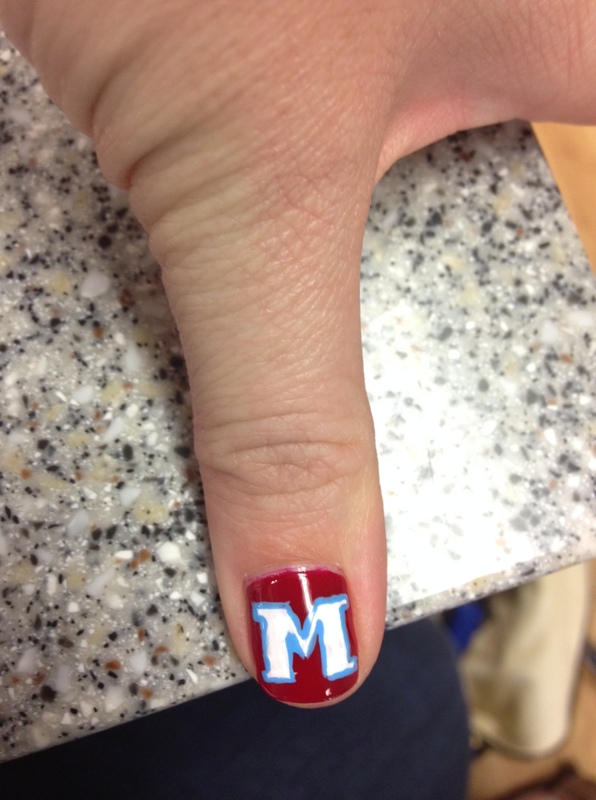 Just like Mitchell. Holding strong, always. This guy has been fighting for his life since the age of 8. Today he is 20-years-old and still never gives up. His resilience and faith has stood the test of time. Time that should have been spent being an innocent child, time that should currently be spent attending college, dating, getting into trouble, and experiencing all that life has to offer. But instead, him and his family focus on one thing and one thing only – a miracle. We pray that we have much more time with him, and that through grace and through God, his body will be healed.